Murray Arnott is a Design Specialist dedicated to understanding and creating something truly unique from your vision and dreams. 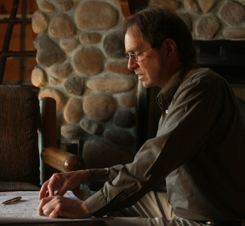 For almost 30 years, he has designed log homes of beauty and character--experience and creativity you can trust. The list of design awards he has received and the admiration of his peers is a testament to having taken the art and craft of log design to a new level. Please read the Log Cabin Homes Legal Notice.